Searches are being conducted at Virudhunagar, Madurai and Coimbatore. The firm in question is Ms Inshumathi Refineries Pvt Ltd. The Enforcement Directorate is probing a firm named Ms Inshumathi Refineries Pvt Ltd. 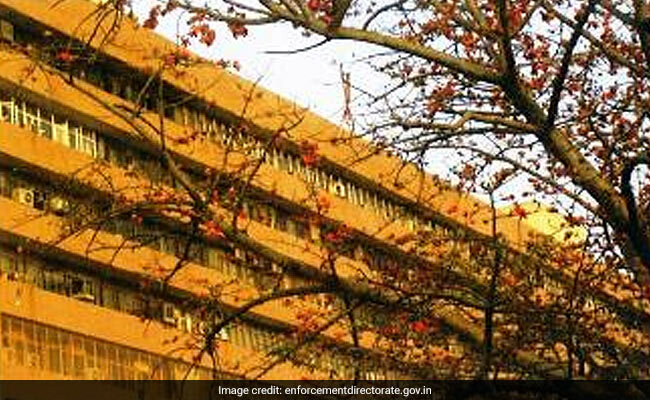 The Enforcement Directorate (ED) Saturday conducted searches at nine locations in Tamil Nadu in connection with an alleged Rs 90 crore money laundering case, officials said. "IRPL was enjoying cash credit facilities, Letter of Credit (LOC) facilities and term loan from State Bank of India's overseas branch in Chennai. "It had availed a total of 46 LOCs from the SBI which were issued against bogus firms/fake invoices for a value of around Rs 87.36 crore which was devolved on the bank later due to insufficient funds in their account and also diverted the business proceeds which resulted into a pecuniary loss of around Rs 90 crore to SBI," the ED said in its complaint.